The back stock room at Binny's may be the last place you'd expect to find Ludacris, but nevertheless that's where I found myself chatting with this famed rapper and actor this past Saturday afternoon. 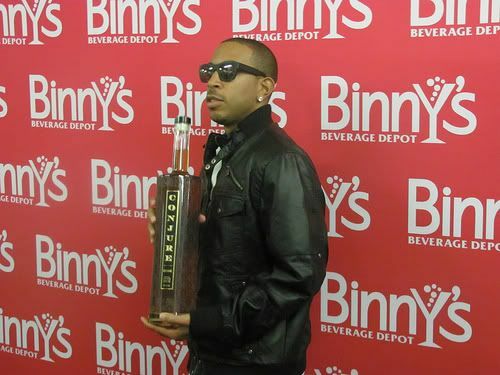 Luda had stopped by the liquor store to promote Conjure, his new brand of cognac, before his show at Park West that night. Sadly, samples of the cognac were not offered. 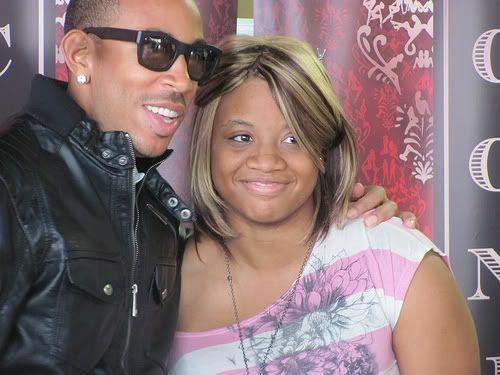 Ludacris poses with a fan. While Ludacris has been zealously promoting Conjure, doing everything from carrying around giant bottles of the cognac, frequently tweeting about it and releasing a Conjure mixtape, this particular event didn't seem to be very well publicized. The line to meet Ludacris barely stretched across one aisle of liquor, and a good majority of the people I approached in line said they'd heard about the signing through the Binny's newsletter. Granted, the event was limited to the 21 and over crowd, plus fans needed to shell out about $30 for a bottle in order to attend. Still, the turnout was meager at best. Ludacris has dubbed the cognac "The Hustler's Spirit", and rather than just promoting the drink, he also had a hand in its making. "We tasted eleven or twelve different cognacs, and we had to choose three out of those. I picked one XO, one VSOP and one VX. That's the first time it's been done. We're the taste of innovation." And in case you were wondering, Luda likes to mix cognac with chocolate ice cream, but prefers to drink it straight. Luda with a ridiculously sized bottle of cognac. 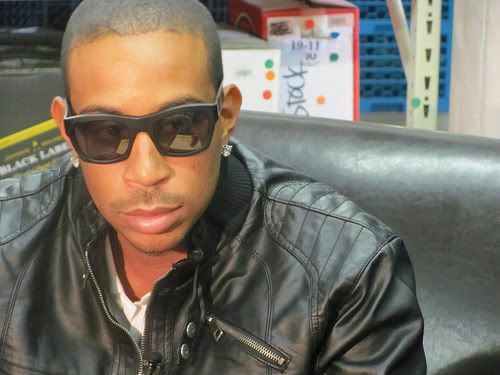 When he's not sipping brandy, Ludacris serves as CEO and Chairman of the non-profit The Ludacris Foundation. As Ludacris explained, "We just had something called Luda Day weekend, which was held on Labor Day weekend. We're remembering what Labor Day is all about while at the same time adding a new twist to it, which is to help kids. The Luda Foundation is my charity organization that's geared towards helping kids help themselves and giving back to children. Of course every Thanksgiving we give away turkeys to underprivileged families and we also do something called Ludacrismas where we help underprivileged kids." Check the Transmission Flickr Pool for more photos from the event.